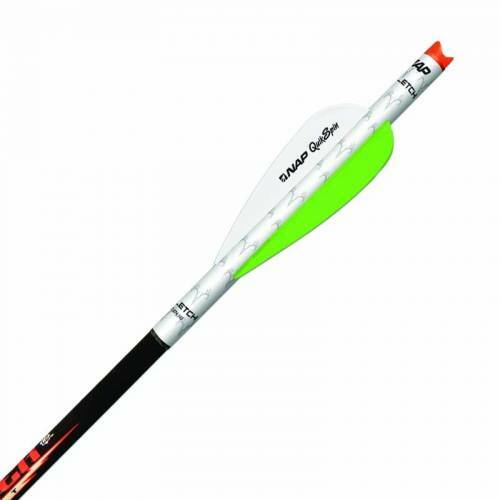 NAP QuikFletch QuikSpin Crossbow Vanes 3". QuikFletch vane system is designed specifically for today's fastest crossbows, making it faster and easier than ever to replace damaged vanes on crossbow bolts. With a shorter profile 3" vane, the QuikFletch rides freely within the rail groove, providing a clean release that offers true downrange flight and accuracy out of today's fastest crossbows. Pack of 6.